Learn how to build a vibrating table that is strong, durable and effective. 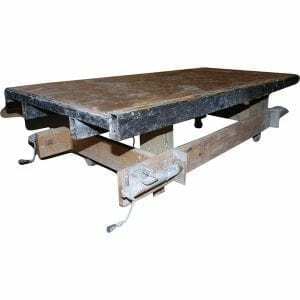 If you use the wet cast method of making precast concrete countertops, you need a vibrating table. Table-mounted vibrators are more effective than plunge vibrators or simply banging the sides of the form, resulting in easier and more reliable creation of higher quality concrete countertops.